Online Music Store How To Set Up Parental Controls On Amazon Fire Stick 4K, Google Chromecast 4K And Apple TV 4K? In today’s world of technology, it’s better to be safe than sorry. This is one reason people have passwords on almost everything from smartphones, computers, streaming devices, Play Store, Apple iTunes and many others. This mostly applies when dealing with an account that costs money to purchase items. Anywhere your credit card is attached, it’s safe to secure that with a secure password. This also applies when it comes to the streaming boxes on the market today. To enjoy streaming content on your device, you have to create an account and attach your credit card information on it. The card will be billed when you purchase or rent movies when you subscribe to a particular service. 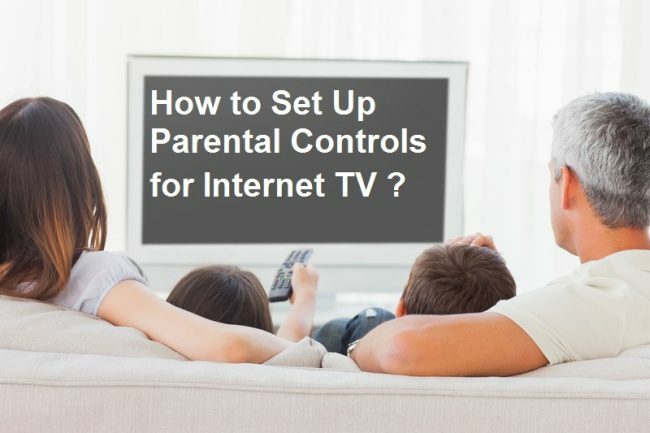 To avoid erroneous charges or to avoid other people making purchases using your streaming device, it is good to set up parental controls on the device. It is also healthy for the children since viewing restrictions are applied to a box with parental controls. Even though you can set the same on apps like Netflix and Hulu, it’s good to ensure that your kids don’t stumble across adult content when you are not around to supervise them. Setting up parental controls on Amazon Fire Stick 4K prevents unauthorised purchases on your device as well as securing access to restricted areas. This means you can set up parental controls to lock the kids into the FreeTime system. This means no supervision for the kids,and there is nothing to worry about when you are not around. It’s good to know how to set up the parental controls before you buy the device and later after buying, you can put what you learnt to practice. One thing to note with this device is when you purchase it, you will be prompted to set up the parental controls as soon as you run the setup process. Here, you’ll be prompted to use either a new PIN or use the existing one. The current PIN is the one that you use on Amazon Instant Video. If you don’t have an existing PIN, you can set up one via the web-based control centre for your Amazon account. •	Just go to Amazon Instant Video settings page and scroll down to the Parental Controls section. •	Here, you can create and reset the PIN as well as choose whether to turn purchase restrictions ON and Off. Turning this feature ON keeps you free from accidentally buying media. After creating the PIN on your dashboard, you need to set it on your Amazon Fire Stick 4K device manually. •	Go to the Settings menu then navigate right across the menu until you get to FreeTime and Parental controls. •	The settings are off if you hadn’t set a PIN previously and when you toggle the entry to ON, you will see a wide variety of settings too. Chromecast 4K streaming device is one of the least family-friendly devices. This is due to lack of a user interface. To control the device, you must have a mobile phone or PC where you install the Home app used to control the Chromecast 4k. This might seem like a drawback to some people,but it is an added advantage to the parents who have kids. You can select content from your smartphone to your device and walk away. If the kids don’t have access to your smartphone, no one can switch to adult content let alone control the device. If you are using the PC to control the device, you can restrict access to it,and this will limit access to the control of the Chromecast device. You can add managed accounts on your Windows OS or macOS if you need to give access to the device’s controls. Apple TV 4K offers a lot of content for viewers of all ages. Setting up parental controls helps protect the content on your Apple TV. 5. Re-enter the passcode again and press Done. This process is the same with the 3rd generation Apple TV,but when you go to the menu, the interface is different.